SAN NARCISO, Calif. (Bennington Vale Evening Transcript) -- "Blade Runner" Oscar Pistorius is suspected of killing his model girlfriend, Reeva Steenkamp, after claiming she failed something called a Voight-Kampff test. Police psychologists have been brought into the investigation, and are desperately trying to figure out what a Voight-Kampff test is or does. The celebrated South African couple, according to their public Twitter posts, were anticipating a romantic Valentine's Day. Steenkamp, 29, encouraged her followers to "get excited" about the holiday. But Pistorius' tweets turned more ominous, boasting of his marksmanship at a shooting range. The double-amputee Olympian issued no public statement, but authorities have said he is cooperating with the investigation. They also admitted that Pistorius, 26, seems to believe -- and has alluded to being -- some sort of government agent on a clandestine mission to detect potentially harmful androids, which he calls "replicants," manufactured by a large technology company in Johannesburg. Pistorius rose to prominence after blazing new trails for non-traditional athletes in last summer's Olympics, where he competed against able-bodied runners using specially designed, prosthetic carbon fiber limbs. Pistorius lost his legs from the knees down as a toddler, the result of a bone defect. Although he did not take home a medal, he received praise worldwide for his efforts to overcome adversity, physical challenges and stereotypes. Pistorius' goal was to prove that his physical differences were not limitations -- that he was "like everybody else." He achieved that goal not through his powerful performance in the Olympics, which elevated him to the deified status often conferred on celebrities, but by having the same emotional problems and rage issues as millions of non-disabled men who abuse or murder their loved ones each year in cases of domestic violence. The shooting occurred early Thursday in the couple's upscale Pretoria home. They were the only two people in the house, and a pistol was recovered from the scene. A police spokesperson explained that officers had previously responded to the property for incidents of "a domestic nature." Officially no motive has been forthcoming, but some authorities confessed that Pistorius provided interrogators and detectives with wild accounts of his efforts to suppress a population of deadly androids living among us. "Mr. Pistorius told interviewers that a technology firm, Tyrell Corporation, has been making robots that look and act like people for years," explained Bruce Vandernichts, a government security official following the case. "He calls them 'replicants,' and says they have false memories implanted to make them seem more human," Vandernichts added. "Apparently, they're not supposed to be harmful, but they can turn criminally insane as they approach the end of their four-year lifespans. Something like that." Stranger still, Vandernichts revealed that Pistorius believes himself an operative of a covert government agency responsible for identifying and destroying these replicants. "They have this device -- this Voight-Kampff machine, he tells us -- which is basically a polygraph-like interrogation tool," Vandernichts said. "Pistorius claims that it measures bodily functions such as respiration, heart rate and eye movement in response to emotionally provocative questions. It usually takes 20 to 30 questions to distinguish a replicant, I'm led to believe. Pistorius said it took him over 100 questions to identify Ms. Steenkamp as one of these lethal fembots." Contained in Pistorius' alleged testimony are descriptions of Steenkamp as a next-generation, prototype "pleasure model" nearing the end of her slightly increased lifespan. 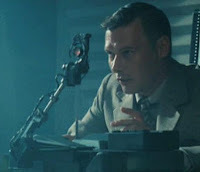 During a recent Voight-Kampff test, which Pistorius positioned as an amusing parlor game, Steenkamp could not differentiate certain species of animals (such as turtles from tortoises or toads from frogs), had no emotional reaction to watching one of these helpless creature in distress, and became physically aggressive when Pistorius asked about her mother. Some detectives, speaking off-record, noted that Pistorius seemed confident he would be exonerated. Vandernichts called Pistorius a persuasive speaker, noting that "he makes an interesting case which becomes difficult to dispute. He asked what we would have done in a similar situation -- being able to detect a replicant, I suppose. Honestly, I suspect I'd do the same. It would be irresponsible not to." In an interesting development, detectives administered the Voight-Kampff procedure to Pistorius -- using the parameters he described. The Olympian became less certain of his own past and failed several responses, interrogators implied. 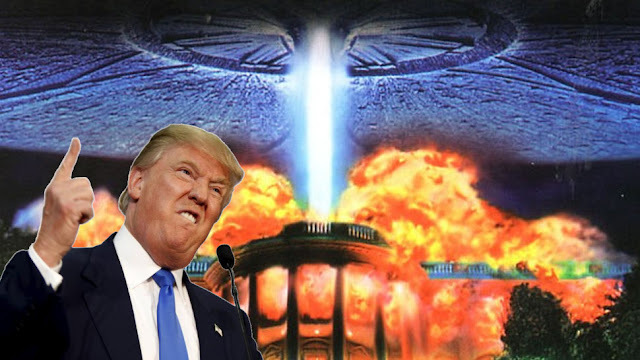 For example, he could not identify a Peacock katydid, did not offer to push a dying jellyfish back into the sea, and also became hostile when asked personal questions about his childhood and disability -- all atypical reactions that would indicate a replicant. He has been placed under armed guard and charged with murder.